The Jaguars score five in the seventh before losing to walk-off single in the bottom of the inning. 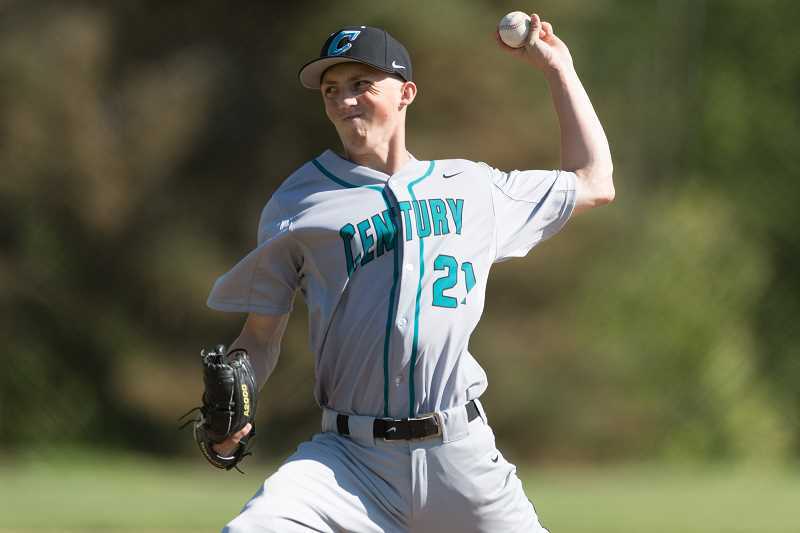 It had been three weeks to the day since the Century Jaguars baseball team had lost a game — to top-ranked Westview. Twenty-one days later, their six-game win streak and 2018 season ended with a playoff loss to that same Westview team. And while disappointed and frustrated to see it all end, Century head coach Mason Wright was proud of his team and excited for what the future can bring for a team fraught with experience in the wake of this year's success. "It's always frustrating when you lose and we felt like that game could've gone either way, but I feel amazing about next year's team," said Wright. "It'll hurt to lose the seniors because they were great players, leaders, and very hard workers, but the depth and playoff experience will be invaluable for next year's group." 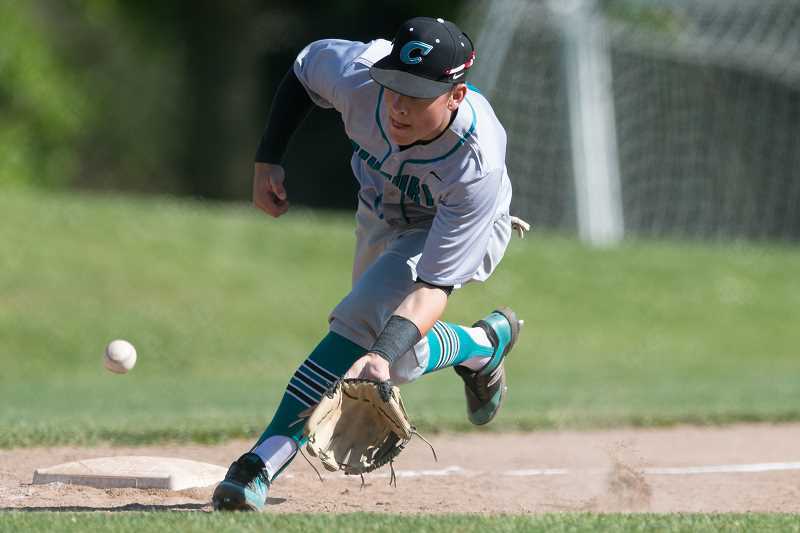 Despite the loss, Century didn't go easy, rallying from five down in the seventh to tie the game before losing in the bottom half of the inning when Westview's Tyler Antich singled-in Jhamante Woods, giving the Wildcats a 7-6 win Wednesday, May 23, at Westview High School. "From the first pitch we were pretty locked in as a team," said Wright. "We had a game plan going in, but Westview scored three early runs which made it difficult. But we believed and kept competing." Century earned the right to face No. 1-ranked Westview based on its May 21, opening round win over Lincoln. The Jaguars dominated the Cardinals in every facet, defeating the PIL champion 6-0, tallying 11 hits against standout Lincoln pitcher, Zane Mills. "We absolutely came in with confidence after putting up 11 hits on Zane Mills from Lincoln, who's a Pac-12 caliber arm," Wright said. "We hit the ball well all day, but just hit 'em right at guys and they made some outstanding plays in the outfield." On this day — after defeating the Jags 9-0 and 5-2 May 1 & 2 — Westview jumped on Century early, scoring one in the first inning, two in the second, and three in the fifth to take a six-run lead and appear on the road to an easy second round win. But the Jaguars forced across their first run in the top of the sixth on a Micky Thompson RBI double, then shocked the Wildcats with a heroic comeback in the seventh. Junior Blake Baccay started things by reaching base on a Westview error. Jared Gordon followed that with a single to center field, then following the inning's first out, Alex Garcia singled to left to load the bases for senior Keaton Johnson, who singled to left field to cut the lead to 6-2. With the bases still loaded, Josh Grant was hit by a pitch which plated Gordon, then Thompson hit a sacrifice fly which scored Gene Quitugua that made it 6-4. Then Ian Lawson singled-in Johnson and when Justin Herzog hit safely to right center, Grant scored and the game was tied 6-6 heading to the bottom of the seventh. "That was obviously huge to get those five runs in the seventh," said Wright. "We started with our six, seven, and eight hitters, but we were able to turn the lineup over and give ourselves a chance." Unfortunately for the Jags, their comeback attempt was quickly thwarted in the bottom of the inning when Antich ended the game with his walk-off hit. Regardless, the loss took nothing from the team's success this season, including 16 wins and a third place finish in the always tough Metro League. "We ended the year playing really well and definitely hit our stride," said Wright. "Seven of our losses were by two or less runs, five were by one, and we competed in nearly every game, so we felt really good about what we had going against anyone." Wednesday night, following the loss, the Century coach — despite trying to put the defeat in the rearview mirror — found himself in a text conversation with his assistants talking about their high hopes for next season. With two all-state players and a handful of all-league players returning, including nearly their entire pitching staff, Wright and his assistants are excited about the prospects of their team's chances in the new Pacific Conference, as well as beyond as a result of experience gained against unrivaled competition. "Knowing we can compete with anyone in that Metro League tells us we can play with anyone in the state," Wright said. "It's impossible not to be excited for next season."